Motor vehicle crashes are the leading cause of death and injury for U.S. teens. According to a 2010 study by the CDC, over 281,000 teenagers were treated and released from emergency rooms for injuries suffered in motor-vehicle crashes. Parents of teens can do two things to help protect their teenage drivers: make sure they practice safe driving habits and get excellent auto insurance. Your teenager’s safety behind the wheel is your top priority. 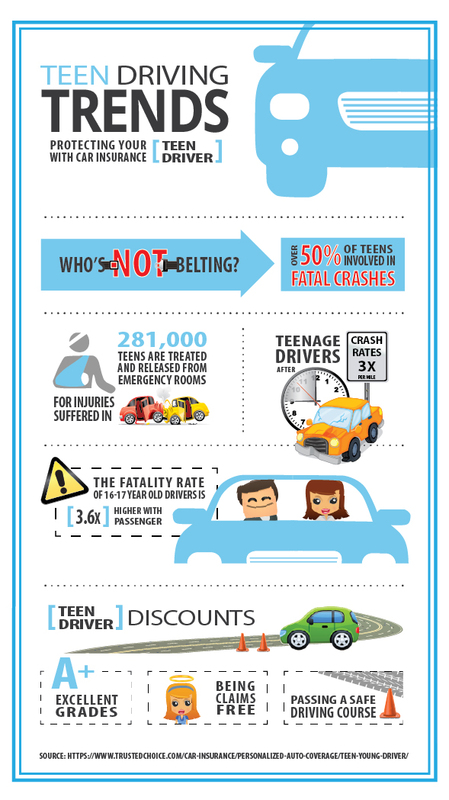 We’ve put together some statistics for you to review as you think about what kind of insurance teen drivers need on the road today.